I'm in no way affiliated with Gawker, albeit I do comment on every branch, except that other one, the unmentionable one. 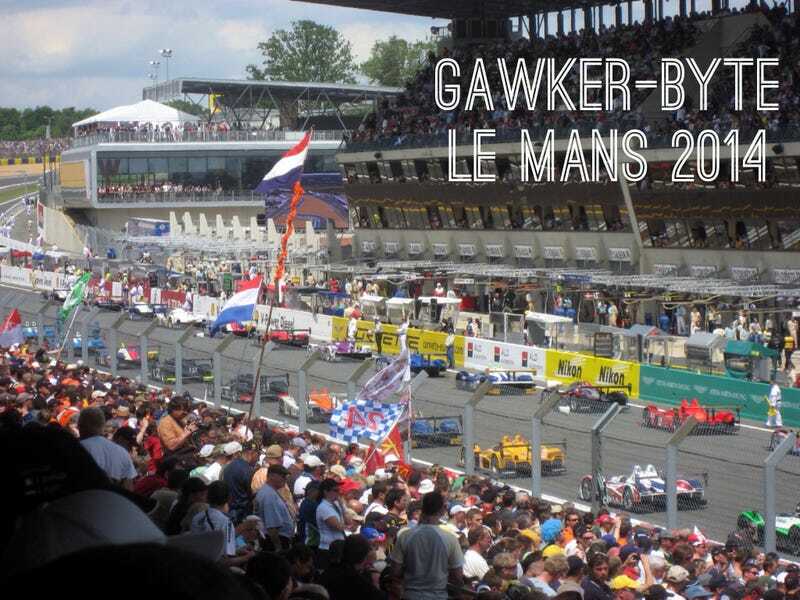 Gawker-bytes, citizens, and tourists, I call you all for a grandiose meet up at Le Mans 2014. Why such a far off destination? Well because it is the Super Bowl, E3 and all night rager for the Jalop. It's a marvelous twenty-four hour car race taking place in Le Mans, Sarthe, France. The race falls the weekend of June 14 - 15, with ticket prices from between €50 - €200 for a trackside campground, touted to be the enthusiasts' experience. I submit the only basis that we arrive around the same time and set ourselves up in the same trackside campground, no stadiums for us. However you get there, by plane, train, or automobile is up to your disgression. On an aside: I nominate Gawker-Byte for citizens of the Gawkerverse.